I am a Home Improvement Genius! Sunday I got the bug to do something Home Improvement-y. I have never liked the wallpaper in my guest bathroom/powder room, so I decided it was time for it to go. I am not a big fan of wallpaper to begin with. If the wall hasn't been primed underneath, which--unless someone painted, and THEN put up wallpaper later--almost never happens, then inevitably, when you take down the wallpaper, you will rip the wallboard. This is a no-go for any future painting. 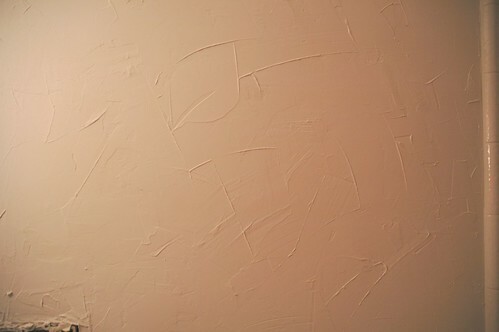 One solution is to plaster the walls in neat strokes to give texture to the walls and cover up problem areas. This of course, was my choice. So Sunday, I started taking down wallpaper. It's a small bathroom, and I would guess the wallpaper was no more than 5 years old, so it wasn't obscenely hard to take down. I was totally not in the mood to go to Home Depot and get stripper though, so I hopped online instead. 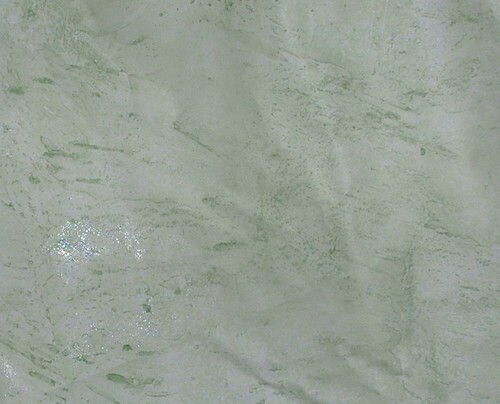 I found out that if you use a mixture of hot water and a little dish soap, the wallpaper comes off quite easily. Actually, the wallpaper, the patterned part didn't even need the water. It came off in full strips. But the backing, did. And the water worked. So 3 hours later, the paper was gone...or rather, all over the floor in little torn bits, and I had to go to Home Depot. the good thing is, my Home Depot is like the world's SMALLEST Home Depot. They seem to have everything, just less stock. So it is a much faster trip! I picked up 2 gallons of "texture paint" and a couple spatula thingies and away I went. Plastering is SOOO easy!!! I had no idea!! It's a bit messy, and the itsy-bitsy space between the door jam and the wall was really tough to reach, but otherwise, it was easy as pie. It took me about another 2 hours to plaster, and now I just have to paint. It is going to look amazing! I forgot to take a before picture, but I will take one of the wallpaper, so you can get an idea, and then a middle pic of it now without paint, and then an after when I am done. Fun times! 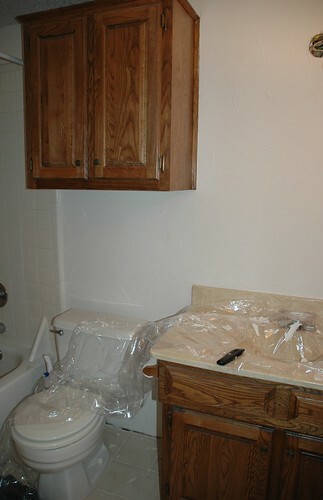 UPDATE: Here are the pics...The first one is the old wallpaper. It looks rather harmless in this picture, but it was hung poorly, and was just very boring. The second pic is after I had textured the bathroom and the third is a close up picture of the texture. Why was Piglet looking in the toilet? UPDATE: I forgot to give credit for this...it's from Zach Braff's Garden State Blog. Zach Braff is my hero!